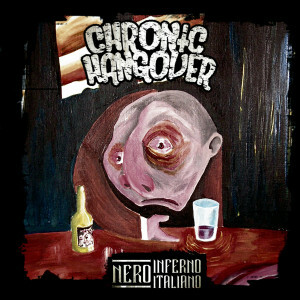 Chronic Hangover was the result of a series of casualties in late 2013. The first iteration of the band included Mattia (after a brief stint with Italian death metal band Lectern) on guitar and Salvo (coming from Funeral Mantra) on drums. 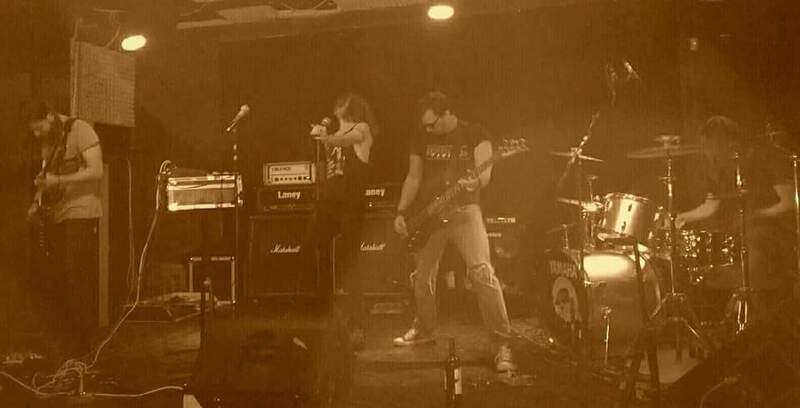 The lineup was soon completed by Rutto (from Yarast) on bass and Jacopo on vocals. The bond between the four members solidified in their practice sessions, and they soon began to write the first Chronic Hangover tracks. In 2014 they were baptized by fire: the band was called upon to open in Rome for Misantropus, a band that the boys in Chronic Hangover viscerally admire. A strong exhale later, the band is able to communicate their musical intentions, notwithstanding their raw performance. From there the band had run-ins with most of Rome’s stoner/doom venues. In the summer of 2014 the band recorded their first demo, entitled “Logicamente il Signore ci Punirà per Questo” (Naturally God Will Punish us for This), recorded by Fulvio Glerean of Jesus Was Homeless. At the end of 2014 there was a change in the line-up—Charlo (G.I.L.F., Fingernails, Engrown, Underball) joined on drums, and the re-upped quartet played more live shows. With the arrival of 2015 the band continued to write, with the hope of doing a proper recording and making a full-length album. At the end of 2015 the band entered Kick Recording Studio under the guidance of Marco Mastrobuono (Hour of Penance, Buffalo Grillz, Columbrum) to record “Nero Inferno Italiano” (Black Italian Hell). After long recording sessions, mixing and mastering, the resulting album has a transverse sound with elements of down-tuned doom, metallic machine-gunning, dusty desert riffs, and astral voyages in the key of psych. Chronic Hangover now has a new guitarist, Zorro of Southern Drinkstruction who has taken Mattia’s place. “Nero Inferno Italiano” will be released by Minotauro Records, the historic label that has published so many gems of Italy’s signature dark sound.